Calling it luck would not do Seneca Valley’s athletic teams justice. Attributing it to skill and unprecedented team chemistry would be the proper course of action, as the teams of Seneca Valley have soared to new heights this season. 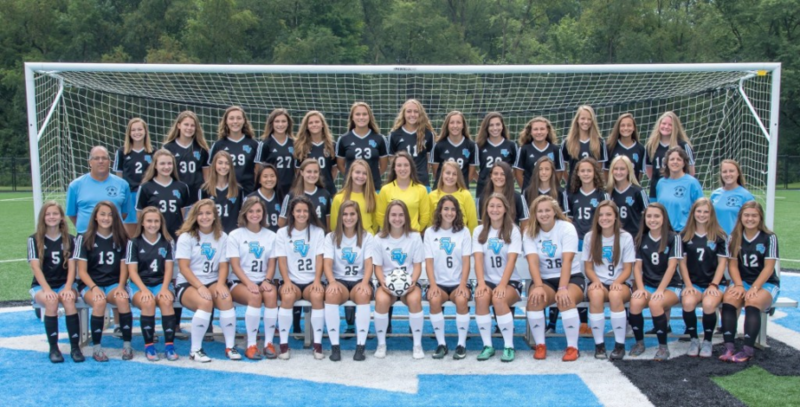 MaxPreps notes that during the regular season, the girls coasted throughout the regular season to 13 wins in 15 games, including 6 shutouts, one of which was a double overtime thriller at Fox Chapel. They took home the WPIAL 4A section title and were awarded the top seed for the section playoffs. In their first two games of the playoffs, the girls held their opponents to a combined single goal in a 6-1 quarterfinal victory over Mount Lebanon and a 2-0 shutout semifinal win over Upper St. Clair. After these two wins, it was time for the WPIAL 4A Championship at Highmark Stadium in Downtown Pittsburgh. On Saturday, November 3, the girls competed against Peters Township, hoping to bring home a WPIAL title. The girls trailed the entire game and seemed destined to falter after achieving so much during their campaign. Out of nowhere, their fortunes turned in the right way once again. The Cranberry Eagle writes that junior Breana Valentovish knocked in a dramatic game-tying goal with just three seconds left in regulation. When overtime came around, senior Lauren Sileo capped off a heart-racing game with a goal to give the Raiders their coveted WPIAL title. Flip the script on the boy’s side, and it was an equally as exciting and hard-earned result. The team finished their season with an overall record of 22 wins, 3 losses and 3 ties. That record was good enough to earn them the ranking of the 12th best team in the state of Pennsylvania. In an excellent day of WPIAL soccer at Highmark Stadium, on the same day of the girls’ contest, the boys took down the Norwin Knights by a tally of 5-2. Upon their entrance to the state playoffs, a first round game was highlighted by excellent drama and thrilling action, as the boys defeated Hempfield by a score of 3-2 in double overtime. It’s quite possible that constant travel played a factor in the tiredness of the team. They defeated Abington by a score of 1-0 in Chambersburg. Just three days later, they had to travel back to Chambersburg, where they gave Radnor a heavy fight but had their season ended by a score of 3-0. 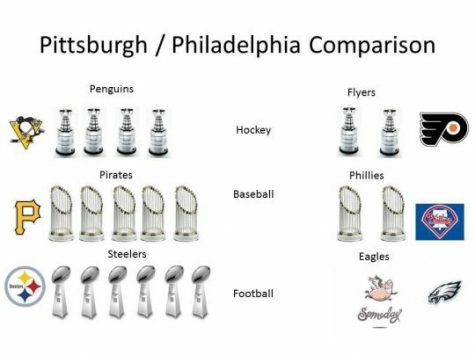 While the soccer programs laid a firm foundation for Seneca Valley teams of the future, the boy’s hockey team is still looking to find their footing after last year’s triumphant victory over Peters Township to win the WPIAL Penguins Cup. Through their first 12 games, the team has only won five. Their 10 points places them in sixth place (out of 9 teams). With a -10 goal differential, things look bleak. However, with senior leadership from Tyler Draper, Bryce Korner, Will Hohman, Logan Koontz, RJ Testa and Nate Lenze (among others), the team has all the pieces in place to potentially get hot at the right time and slide right back into the playoffs. With more success to come in the spring, the school’s fall teams have certainly laid the foundation for an extension of growth in athletic excellence.